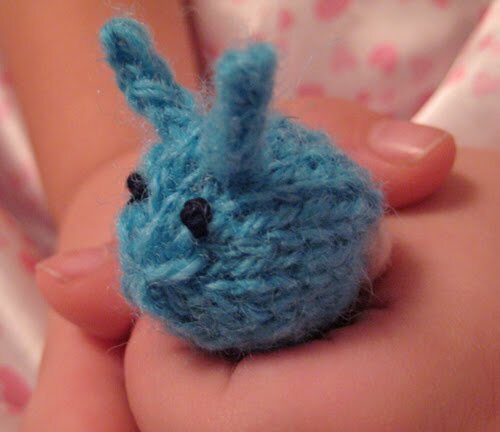 I've been SO busy hanging a bajillion super cool clothes in the thrift store ... And in the wee, wee hours I'm also knitting these teeny tiny baby bunnies from MochiMochi Land. They're so sweet and according to MG they "like to nap in pockets". Perfect for the first week of preschool, hooray! Hope all is happy with you! 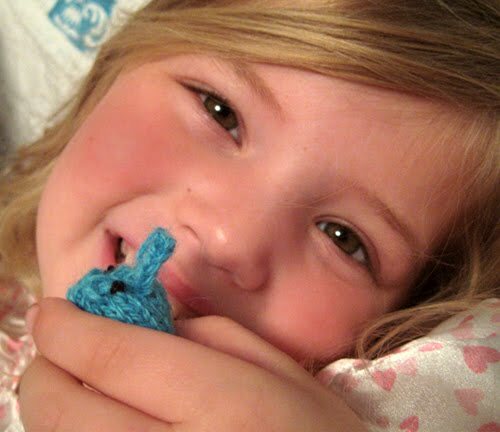 Oh the bunny and the girl are just way too cute! "Hop" on over to my blog for a give away. Oh my word, those are quite possibly the most adorable things I have ever seen! I want me a wee bunny! Love Vintage? Love Romance? Love Fairytales? Love Caged Canary..